The home of Robert Hurdman, Belgrave Terrace, Franconna Apartments. Image: June 2015. Centretown’s buildings have a number of stories to tell. Some of those stories are tragic, some are tales of faded business glory, and others still are tales of the night life that once kept Ottawa hopping. Still waters run deep, as the saying goes. 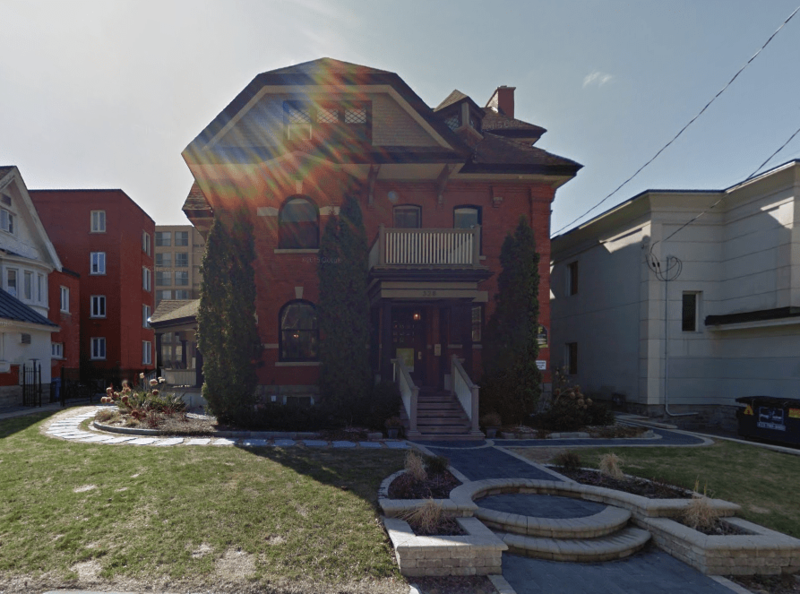 As is the case with so many of the apartments that Centretowners call home, the Franconna Apartments began life as large single-family home. After playing host to a number of elites in its first twenty years, it was converted into an apartment (named Belgrave Terrace): a common fate that befell these homes once they hit a certain age. 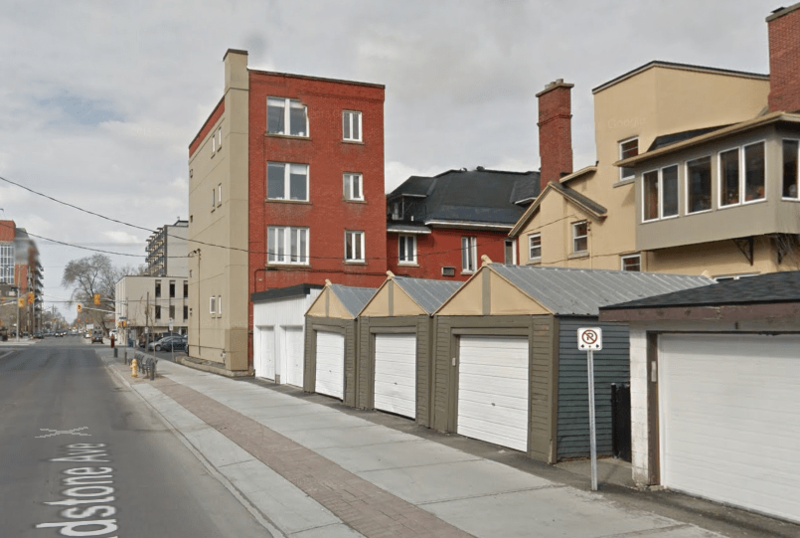 Backing on to Gladstone Avenue, the apartment was then threatened with the potential for demolition when the city sought to widen what was then a 30 foot side-street to a four-lane traffic corridor. While the rear annex bears the scars of the widening, that half of it still stands is a testament to the sorts of pressure faced by planners during the middle of the twentieth century. From the 1902 Goad’s Atlas (1912 Revision), Frank street was beginning to fill in with large homes. Note that Frank street was 56 feet wide and Gladstone was only 30. Source: Library and Archives Canada. 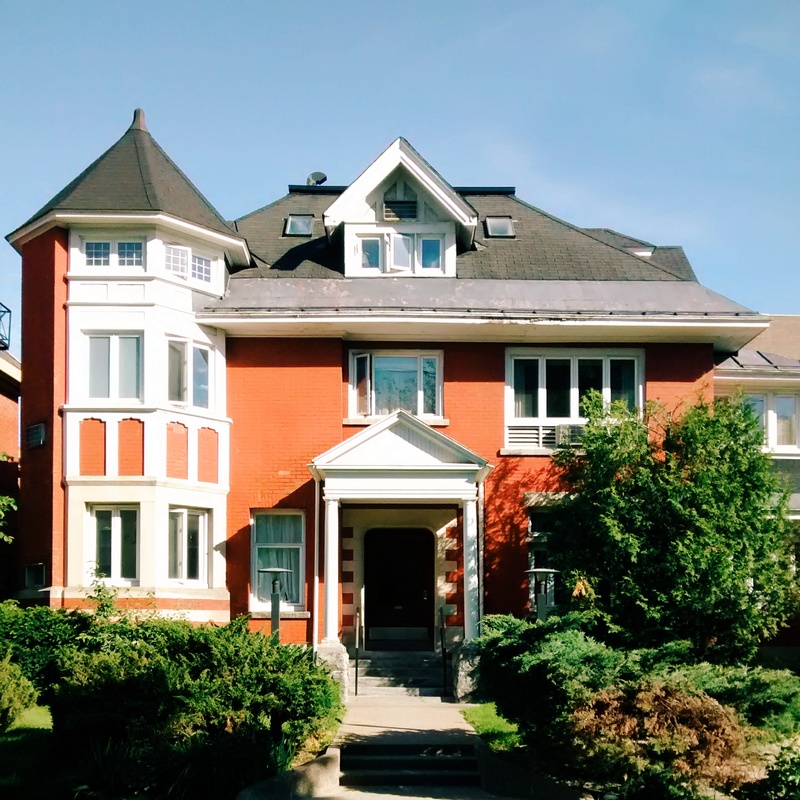 As with so many of Centretown’s apartments, 322 Frank began as a single large household. Then numbered 74 Frank, it was constructed in late 1903 by pioneering Ottawa lumberman Robert Hurdman. His wife Grace had died at the end of 1899,1”The Late Mrs. Hurdman,” Ottawa Journal, December 5, 1899, p. 5; Beechwood Cemetery Interments, 1873–1990. Ottawa, Ontario, Canada: Beechwood Cemetery. he was in his declining years, and likely chose the location for its proximity to his daughter Maud, who lived next door with her husband, coal merchant Chauncey Bangs.2The couple lived at 328 Frank (90 Frank before the renumbering). Bangs was a well-known as a coal merchant and the son of one-time Ottawa mayor, also Chauncey Bangs. Below is the Google street view shot of the home. As things sometimes go,3My favourite example is the stone house (now apartment) at 201 Cooper Street. As part of the Bate property, it began construction in 1889 for Charles T. Bate. Bate died that year, the home was completed in 1890, and purchased by lumberman William Mackey. Below is the Google street view shot of 201 Cooper. the paint on the home hardly had time to dry before the owner could settle in. This was the case for Hurdman and the papers reported his death in May of 1904.4”Death of Mr. Robt. Hurdman,” Ottawa Journal, May 4, 1904, p. 1. Indeed, his death was sudden enough that annual Might’s directory first listed the owner as his son, John.5Might’s Ottawa Directory, 1905. 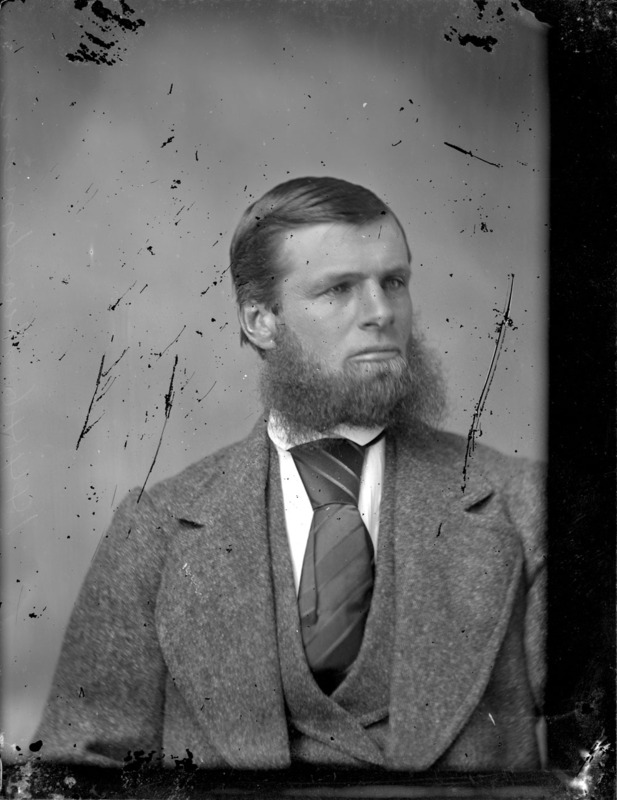 Robert Hurdman in 1873, about 31 years before his death. Image: Topley Studio / Library and Archives Canada. At about 2,400 square feet per floor, the home was quite large and the family set to the task of making the appropriate arrangements . 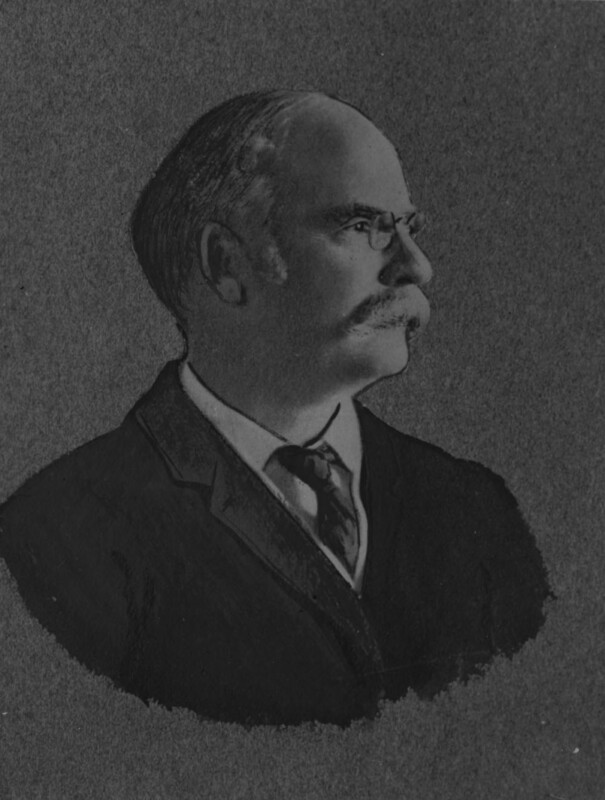 In 1907, Might’s Directory indicated that the troubled then-former Minister of Railways and Canals, Henry Emmerson,6Wendell E. Fulton, “EMMERSON, HENRY ROBERT,” in Dictionary of Canadian Biography, vol. 14, University of Toronto/Université Laval, 2003–, accessed November 1, 2015, http://www.biographi.ca/en/bio/emmerson_henry_robert_14E.html. had come to stay with the family.7John Hurdman’s family. Might’s Ottawa Directory, 1907. In the following year, he was listed as the sole inhabitant of the home.8Might’s Ottawa Directory, 1908. By 1909, Emmerson had moved out and the family of Albert E. Matthews had moved in.9Might’s Ottawa Directory, 1909, p. 78. Matthews, who was then the co-manager of the Ottawa branch of his father George Matthews’ meat packing concern, was on the way up. He too would only reside at 322 Frank for three years before moving to Toronto. Matthews, it should be mentioned, enjoyed a highly successful and colourful career. A lifelong Liberal, his business success and attendant Bay Street relations helped bring Mitch Hepburn to power10Although Matthews was more properly linked with the federal Liberals on Bay Street, he played an integral role in getting Mitch Hepburn elected in Ontario. For more details, see John Saywell, ‘Just Call me Mitch’: The Life of Mitchell F. Hepburn (Toronto: University of Toronto Press, 1991). 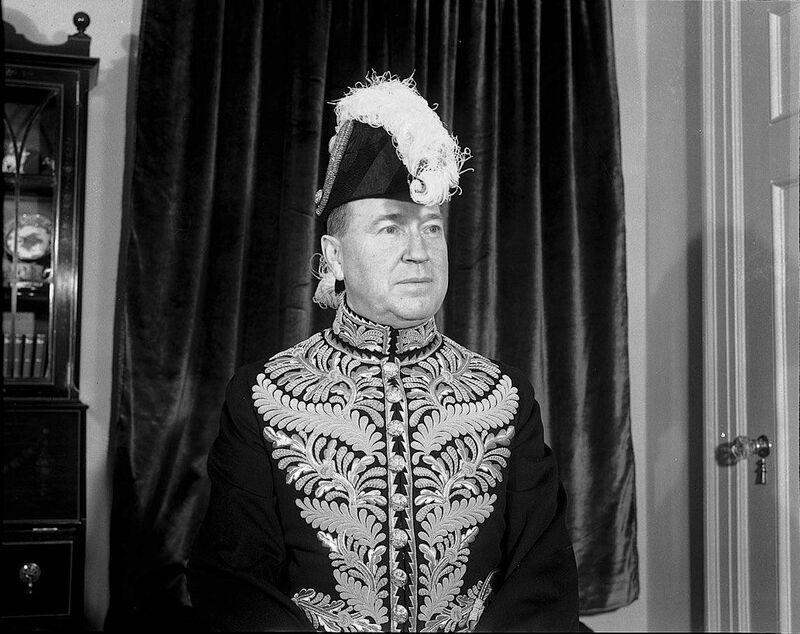 and he served as the Lieutenant Governor of Ontario between 1937 and 1946.11Lieutenant Governor of Ontario. “Lieutenant Governors Since Confederation,” http://www.lgontario.ca/en/biographies/pages/lieutenant-governors-since-confederation.aspx. His son Bruce, who was born during that period, was every bit the financial success as his father was.12Among the highlights: Bruce succeeded his father as the President of Excelsior Life, was a director of Dome Mines, of Standard Broadcasting, President of Ottawa boy E.P. Taylor’s Argus Corporation, and the President of the Liberal Party of Canada during those darker years, between 1958 and 1961. See: “Bruce Matthews (Canadian Army officer),” https://en.wikipedia.org/wiki/Bruce_Matthews_(Canadian_Army_officer); Wallace Clement, The Canadian Corporate Elite: An Analysis of Economic Power (Ottawa: Carleton University Press, 1975); “Argus’ Bruce Matthews: Old boy among whiz kids,” Montreal Gazette, October 17, 1978, p. 25. Albert E. Matthews, in later days, as Lieutenant Governor of Ontario. Image: Alexandra Studio / City of Toronto Archives, Fonds 1257. The occupation of 322 Frank by elites did not stop with the Matthews’ departure in 1912. The home was put up for sale (by R.A. Hurdman, Robert’s son)13The home was “recently occupied by a prominent business man who has moved to Toronto.” Ottawa Journal, February 3, 1912, p. 20. and was immediately snapped up by freshly-appointed Minister of Justice, Charles Doherty.14Might’s Ottawa Directory, 1912, p. 83. Doherty’s time as Justice Minister was, of course, marked by a number of significant events in Canadian life. The Conscription Crisis, the Raid on the Guelph Notitiate, the Komagata Maru, the treatment of “enemy aliens” during war, and a number of constitutionally-significant court cases, such as Gold Seal, were all part of his career.15Beyond these, there are numerous sources. See “Charles Doherty,” https://en.wikipedia.org/wiki/Charles_Doherty; John Brierley, “Charles Doherty,” The Canadian Encyclopedia. http://www.thecanadianencyclopedia.ca/en/article/charles-doherty/; Brian F. Hogan, “The Guelph Novitiate Raid: Conscription, Censorship and Bigotry during the Great War,” Canadian Catholic History Association, Study Sessions 45 (1978), http://www.cchahistory.ca/journal/CCHA1978/Hogan.html; Philip Slayton, Mighty Judgment (Toronto: Penguin, 2011); Ian Blue, “”Free Trade Within Canada: Say Goodbye to Gold Seal,” http://www.macdonaldlaurier.ca/files/pdf/Ian-Blue-Section-121-Free-Trade-within-Canada.pdf. Charles J. Doherty, in 1914. Image: Canada. Dept. of National Defence/Library and Archives Canada. 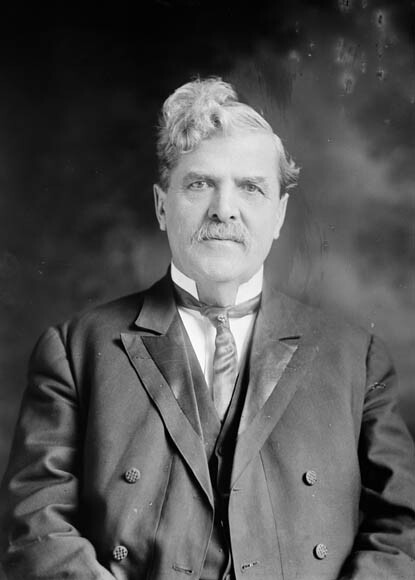 Finally, the longest-term resident of the home was Robert M. Coulter, the Deputy Postmaster General. Following the retirement of Lt. Col. William White in the summer of 1897, Robert Coulter, an MD hailing from Aurora, ON was appointed to the position, where he remained until his retirement in January 1923.16See “Lt. Col. White Retires,” Ottawa Journal, July 19, 1897, p. 7; “The P.O. Deputyship,” Ottawa Journal, July 22, 1897, p. 6; Ottawa Journal, July 23, 1897, p. 4; “Dr. Coulter Retires from Civil Service,” Ottawa Journal, January 4, 1923, p. 1.Unlike Doherty above, Coulter’s career did not appear to be one that was filled with political controversy. 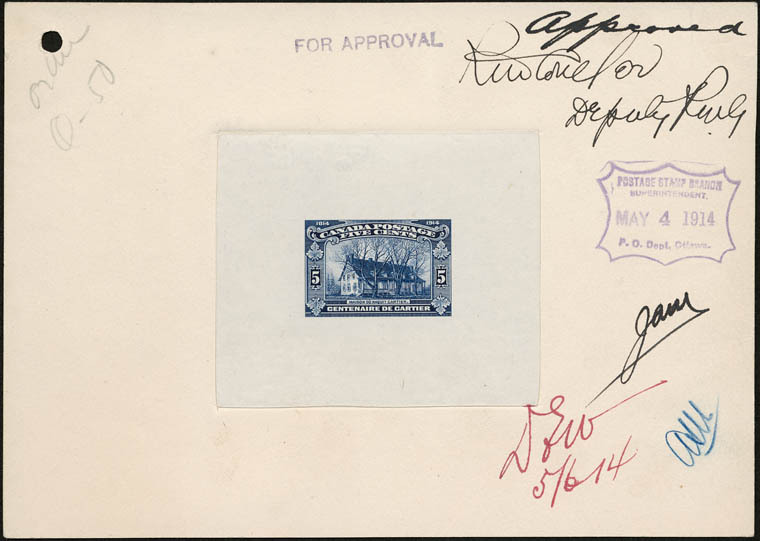 If a stamp was to be approved between 1897 and 1923, it would have been by Robert M. Coulter. Source: LAC Acc. 1995-163 CPA Item A501-01. As noted above, Coulter retired from the Post Office Department in January 1923 at the age of 65. Having been the Deputy Postmaster General since 1897, the question of the good doctor’s replacement was one that was reported in the local papers.17”Dr. Coulter Retires from Civil Service,” Ottawa Journal, January 4, 1923, p. 1. Having one’s son-in-law as the head of Ottawa’s oldest and foremost bond house also turned out to be somewhat fortuitous. Rather than simply dispose of the asset that was 322 Frank and be done with it, it seems to be the case that Monk had a different idea: an apartment. This was likely in no small part to serve as a source of retirement income. Shortly following his retirement in 1923, Coulter moved in with his daughter and son-in-law at 112 Argyle and the Belgrave Terrace was born. Of course, you won’t find Coulter’s name on the company’s prospectus, nor will you find Monk’s. The two brokers of record on the corporate filing were John Graham and Reginald Steers, two salesmen who worked for Monk. The barristers on the application were Smellie and Lewis.18LAC RG 95-1 Vol. 2357 File 302-1 Monk’s expertise in selling bonds for a building was normally applied to commercial, office, government, and industrial works, but it worked just as well for an apartment.19For a little taste, Monk handled the financing for the Booth Building, E.B. Eddy, Beach Foundry, Ottawa Valley Power, and the Victoria Realty Corporation. See “H. Carleton Monk Pioneer Ottawa Bond Dealer Dies,” Ottawa Journal, May 17, 1951, p. 1 Coulter would not be able to enjoy his apartment revenues for long, however, as he died in 1927.20”Former P.O. Deputy, Dr. R.M. Coulter, Dies,” Ottawa Journal, February 15, 1927, p. 7; “Pay Final Tribute Dr. R.M. Coulter,” Ottawa Journal, February 16, 1927, p. 3. Given the normal target market for apartments during the 1920s, the full page ad became the normal way to announce one. Note that the wood work was provided by Ottawa Stair Works. Source: Ottawa Journal, September 12, 1925, p. 15. 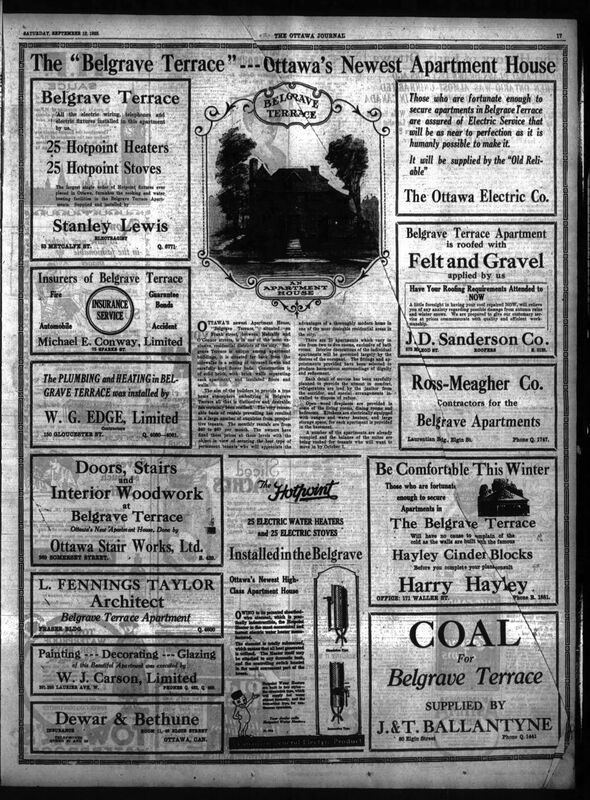 Belgrave Terrace was introduced to the city on September 12, 1925 with a full-page advertisement in both the Journal and the Citizen. Furnished with Hotpoint21Part of the General Electric empire by then. It was somewhat surprising not to see them being sourced from Beach, who did have one on offer. From the August 27, 1925 edition of the Ottawa Journal.The advertisement for the Belgrave noted that it had been the single largest order in the city of Ottawa made for Hotpoint appliances to that time. Also of note: the dealer was Stanley Lewis, who would serve as Ottawa’s mayor between 1936 and 1948. appliances, the 25 units were advertised as any others were then (and now): luxurious, well-designed, and a true home. In other words, Belgrave Terrace represented the foregoing practice in Canadian apartment building during that period.22Developers and speculators took great pains to set their projects apart from the tenement housing that struck fear in middle class hearts across the country. See Richard Dennis, “Apartment Housing in Canadian Cities, 1900-1940,” Urban History Review, 26, no. 2 (March 1998) The bonds were advertised at 6½ percent and went on sale almost immediately following the apartment’s completion.23”Interesting Investments [offered by] H.C. Monk & Co.,” Ottawa Journal, October 10, 1925, p. 7. 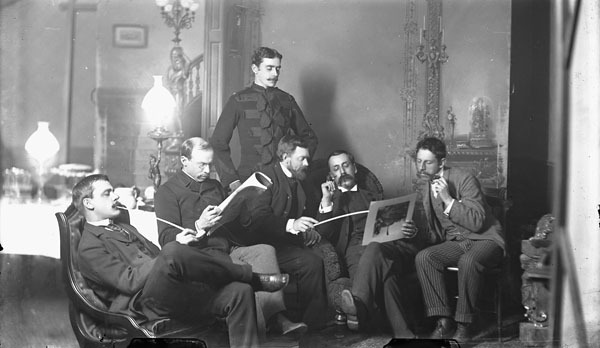 Left to right: Franklin Brownell, Michel Frechette, William Brymner, John Watts, Frank Checkley and Lawrence Fennings Taylor. Image: William James Topley / Library and Archives Canada / PA-201228. The architectural services of Lawrence Fennings Taylor were retained, whose main claims to fame were the Canada Pavilion at the 1904 St. Louis World’s Fair, 1908 extension to Ottawa (Lisgar) Collegiate, and the Dominion Bank branch at Bank and Sparks.24The architectural record of Lawrence Fennings Taylor is a bit difficult to get at. The Lisgar extension, for example, is most commonly credited to Edgar Horwood, the partner of Taylor at the time. Nevertheless, see Louisiana Purchase Exposition, The Greatest of Expositions: Completely Illustrated (St. Louis, MO: Louisiana Purchase Exposition, 1904); Heritage Ottawa Newsletter (Ottawa: Heritage Ottawa, Fall 2007); “L. Fennings Taylor Dies,” Ottawa Journal, December 1, 1947, p. 31. 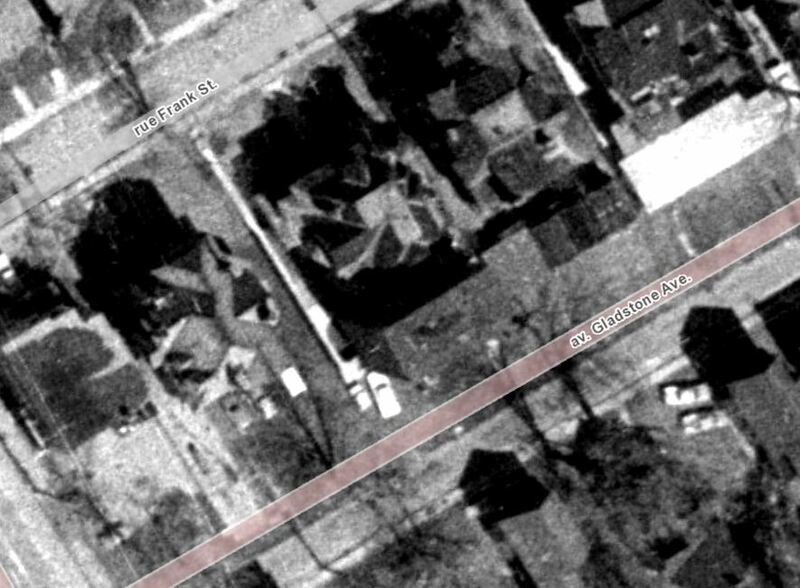 In addition to working the subdivision of the main house into apartment units, Taylor designed a three-storey annex at the rear of the home which faced Gladstone avenue.25Although I have not gone as deep into this as I’d have liked to, the blocks at this southern end of Centretown are quite shallow. Part of this has to do with how the Sparks survey was set out in the early 1870s (i.e. the short block that exists between Gilmour and Lewis) and part of it has to do with this particular area being at the southern border of the old City of Ottawa (Ann/Gladstone Ave.), abutting the former town of Stewarton. This may have been done to accommodate the Macdougall Property, which straddled either side of Elgin between Lewis and Gladstone. What’s more, is that Stewarton may have been annexed in 1889, but the streets had already been laid out, and much of it in accommodation of Appin Place (today’s Museum of Nature). For a short rundown of the history of Stewarton, see Harry Walker and Olive Walker, Carleton Saga(Ottawa: The Runge Press, 1975): 98, 114-5; Lucien Breault, Ottawa: Old & New (Ottawa: Ottawa Historical Information Institute, 1946): 27-30. Below is an excerpt from an 1876 imagined birds-eye of Ottawa. Canada Pavilion, St. Louis World’s Fair, 1904. From there, Belgrave lead a reasonably quiet existence. Commensurate with the times, the tenants were generally middle-class individuals beginning their lives after marriage and the occasional middle class pensioner. Aerial photograph of the block. The Franconna’s annex is the block in the centre. Image: geoOttawa, 1958 Aerials. By 1958, the Bonds-for-buildings scheme seems to have been played out. Although I cannot claim a definite cause, the various amendments to the National Housing Act (and policies surrounding it) had introduced a number of instruments that simply did not exist in the 1920s when such bond arrangements were relatively common. In the face of postwar material shortages and inflationary shocks, it’s likely that floating bonds at 6-8% represented a poor proposition all around when it came to the construction and operation of rental apartment buildings. 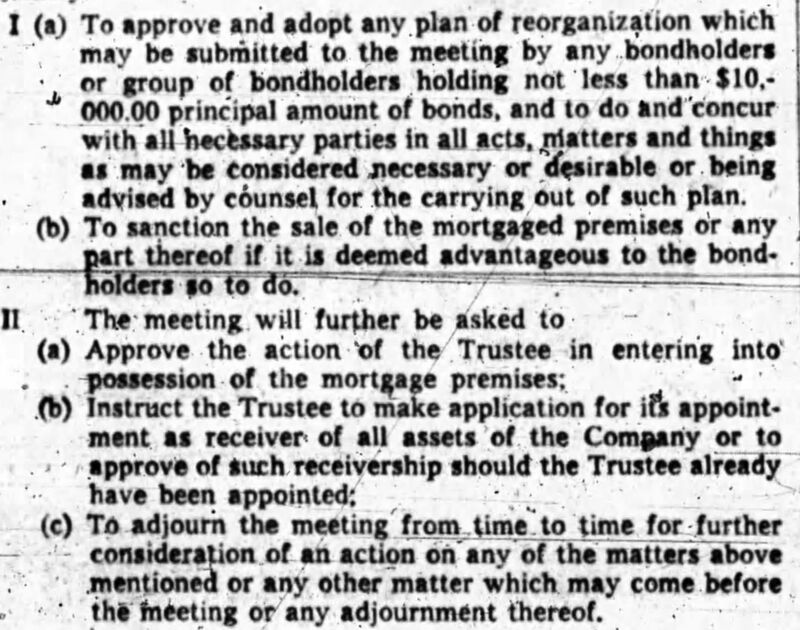 In a later meeting, held on August 6, it was agreed by the bond holders that the company should be wound down and the company charter surrendered to the Crown.27Secretary, Belgrave Terrace Ltd., to the Office of the Secretary of State, Canada, August 8, 1958. LAC RG 95-1 Vol. 2357 File 302-1. The real threat was, however, not so much the failure of the company as it was the growing demand for widened streets to accommodate the ballooning number of cars present in the old city. The plans to widen Gladstone had gone as far back as 1931. That year, Council passed by-law No. 7036 which expropriated on a deferred basis a number of properties that backed on to the narrow Gladstone avenue. 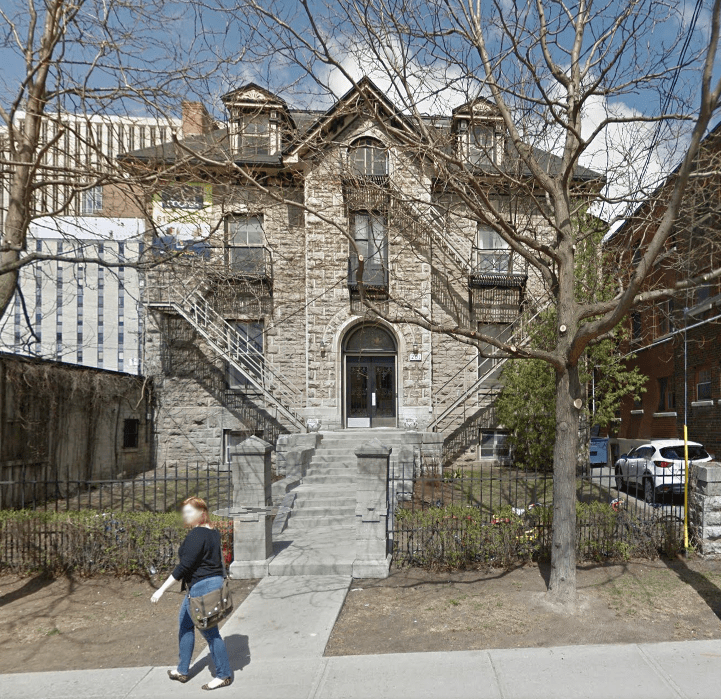 Among the twenty or so lots expropriated, was 322 Frank, which was also known as part of Lot 10, Frank street. 7036 wasn’t a matter of immediate need, but one of projected future need. With the lots being frozen for development purposes for thirty years and the city speaking more openly about their immediate transportation plans, it’s most likely that the property owners in the area had become quite anxious. By the spring of 1960, the city began its work, compensating property owners for its expropriations.29On April 4, for example, council resolved to pay Rebecca Sanderson, the widow of George F. Sanderson, $750 for the rear part of the lot on the corner. The heading in the Minutes incorrectly identify the property as 322 Frank, while the text accurately identifies it as 332 Frank. 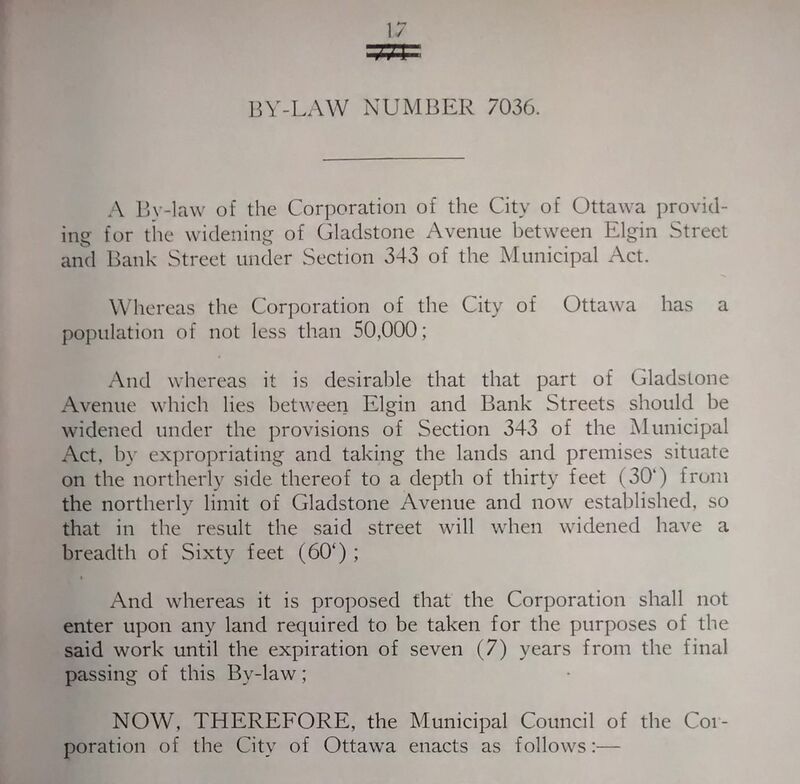 See Minutes of the Council of the Corporation of the City of Ottawa 1960, p. 461. It would not be until the following winter that city would settle with the Franconna’s then current owners, Franconna Buildings Limited, for a total of $147,000.30As I haven’t visited the Ottawa Land Registry and it wasn’t reported, I don’t have the specific date for when/how the property changed hands between Belgrave and Franconna. See Minutes of the Council of the Corporation of the City of Ottawa 1961, p. 95. On February 20, authority was granted to demolish the desired portion of the building. Perhaps most interestingly, the work was “to be done by City forces in order to provide work for employees due to the lack of snow.”31Minutes of the Council of the Corporation of the City of Ottawa 1961, p. 351. 322 Frank was taken for $147,000 in January of 1961. Source: Minutes of the Council of the Corporation of the City of Ottawa 1961, p. 95. Of course, the city didn’t really need the entire property, nor was there any desire to demolish the entire complex. As much as Centretown was being transformed with the construction of new apartment buildings, there was still a need for units and it was contrary to the city’s best interests to sacrifice perfectly good apartments unnecessarily. As such, on March 27, 1961, the property was advertised for sale by the city in the Ottawa Citizen. The City’s sale of the expropriated apartment. Source: Ottawa Citizen, March 27, 1961, p. 41. The lucky buyer’s successful purchase of the apartment would be contingent upon a number of conditions. Namely, that the buyer demolish the southern 30 feet of the annex within 60 days of acceptance of the offer and make the remainder of the building habitable within six months. 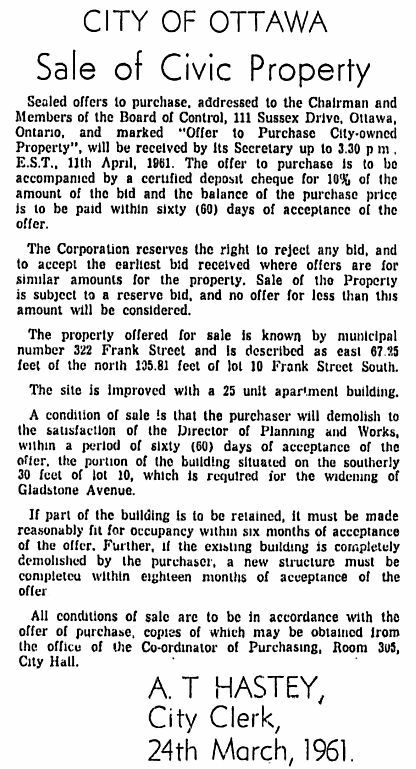 The winning bidder was Harold S. Black, whose sum of $48,103 secured the property and by the summer, he can commenced with the demolition.32Minutes of the Council of the Corporation of the City of Ottawa 1961, pp. 1450-51. For his own part, Black was able to enjoy his investment for about 10 years. He passed away on March 16, 1971.33Ottawa Journal, March 17, 1971, p.41. “Just a little off the back.” The Franconna (formerly Belgrave Terrace) after Taylor’s annex portion was partially demolished. Image: geoOttawa, 1965 Aerials. In the years following, the units have seen a number of tenants, mostly residential, but also commercial and even diplomatic. I don’t really have a grand conclusion or moral to offer with this little exploration of the Franconna. I began looking into it when someone asked me about why the rear end of it (the annex, visible from Gladstone) looks so strange. In the context of the garages pasted to the rear of the other apartments on the strip, I had always wondered. Was it a crafty landlord looking to maximize the benefit from a small(ish) lot? As it turned out, somewhat. Its truncated form, however, was purely the doing of a city looking to accommodate traffic flow while minimizing the loss of habitable apartment units in a time when rental housing supplies were still short. The Franconna (Belgrave Terrace) Annex that asked the question. Image: Google Street View, April 2015. 1. ↥ ”The Late Mrs. Hurdman,” Ottawa Journal, December 5, 1899, p. 5; Beechwood Cemetery Interments, 1873–1990. Ottawa, Ontario, Canada: Beechwood Cemetery. 2. ↥ The couple lived at 328 Frank (90 Frank before the renumbering). Bangs was a well-known as a coal merchant and the son of one-time Ottawa mayor, also Chauncey Bangs. Below is the Google street view shot of the home. 3. ↥ My favourite example is the stone house (now apartment) at 201 Cooper Street. As part of the Bate property, it began construction in 1889 for Charles T. Bate. Bate died that year, the home was completed in 1890, and purchased by lumberman William Mackey. Below is the Google street view shot of 201 Cooper. 4. ↥ ”Death of Mr. Robt. Hurdman,” Ottawa Journal, May 4, 1904, p. 1. 5. ↥ Might’s Ottawa Directory, 1905. 6. ↥ Wendell E. Fulton, “EMMERSON, HENRY ROBERT,” in Dictionary of Canadian Biography, vol. 14, University of Toronto/Université Laval, 2003–, accessed November 1, 2015, http://www.biographi.ca/en/bio/emmerson_henry_robert_14E.html. 7. ↥ John Hurdman’s family. Might’s Ottawa Directory, 1907. 8. ↥ Might’s Ottawa Directory, 1908. 9. ↥ Might’s Ottawa Directory, 1909, p. 78. 10. ↥ Although Matthews was more properly linked with the federal Liberals on Bay Street, he played an integral role in getting Mitch Hepburn elected in Ontario. For more details, see John Saywell, ‘Just Call me Mitch’: The Life of Mitchell F. Hepburn (Toronto: University of Toronto Press, 1991). 11. ↥ Lieutenant Governor of Ontario. “Lieutenant Governors Since Confederation,” http://www.lgontario.ca/en/biographies/pages/lieutenant-governors-since-confederation.aspx. 12. ↥ Among the highlights: Bruce succeeded his father as the President of Excelsior Life, was a director of Dome Mines, of Standard Broadcasting, President of Ottawa boy E.P. Taylor’s Argus Corporation, and the President of the Liberal Party of Canada during those darker years, between 1958 and 1961. See: “Bruce Matthews (Canadian Army officer),” https://en.wikipedia.org/wiki/Bruce_Matthews_(Canadian_Army_officer); Wallace Clement, The Canadian Corporate Elite: An Analysis of Economic Power (Ottawa: Carleton University Press, 1975); “Argus’ Bruce Matthews: Old boy among whiz kids,” Montreal Gazette, October 17, 1978, p. 25. 13. ↥ The home was “recently occupied by a prominent business man who has moved to Toronto.” Ottawa Journal, February 3, 1912, p. 20. 14. ↥ Might’s Ottawa Directory, 1912, p. 83. 15. ↥ Beyond these, there are numerous sources. See “Charles Doherty,” https://en.wikipedia.org/wiki/Charles_Doherty; John Brierley, “Charles Doherty,” The Canadian Encyclopedia. http://www.thecanadianencyclopedia.ca/en/article/charles-doherty/; Brian F. Hogan, “The Guelph Novitiate Raid: Conscription, Censorship and Bigotry during the Great War,” Canadian Catholic History Association, Study Sessions 45 (1978), http://www.cchahistory.ca/journal/CCHA1978/Hogan.html; Philip Slayton, Mighty Judgment (Toronto: Penguin, 2011); Ian Blue, “”Free Trade Within Canada: Say Goodbye to Gold Seal,” http://www.macdonaldlaurier.ca/files/pdf/Ian-Blue-Section-121-Free-Trade-within-Canada.pdf. 16. ↥ See “Lt. Col. White Retires,” Ottawa Journal, July 19, 1897, p. 7; “The P.O. Deputyship,” Ottawa Journal, July 22, 1897, p. 6; Ottawa Journal, July 23, 1897, p. 4; “Dr. Coulter Retires from Civil Service,” Ottawa Journal, January 4, 1923, p. 1. 17. ↥ ”Dr. Coulter Retires from Civil Service,” Ottawa Journal, January 4, 1923, p. 1. 20. ↥ ”Former P.O. Deputy, Dr. R.M. Coulter, Dies,” Ottawa Journal, February 15, 1927, p. 7; “Pay Final Tribute Dr. R.M. Coulter,” Ottawa Journal, February 16, 1927, p. 3. 21. ↥ Part of the General Electric empire by then. It was somewhat surprising not to see them being sourced from Beach, who did have one on offer. From the August 27, 1925 edition of the Ottawa Journal.The advertisement for the Belgrave noted that it had been the single largest order in the city of Ottawa made for Hotpoint appliances to that time. Also of note: the dealer was Stanley Lewis, who would serve as Ottawa’s mayor between 1936 and 1948. 23. ↥ ”Interesting Investments [offered by] H.C. Monk & Co.,” Ottawa Journal, October 10, 1925, p. 7. 24. ↥ The architectural record of Lawrence Fennings Taylor is a bit difficult to get at. The Lisgar extension, for example, is most commonly credited to Edgar Horwood, the partner of Taylor at the time. 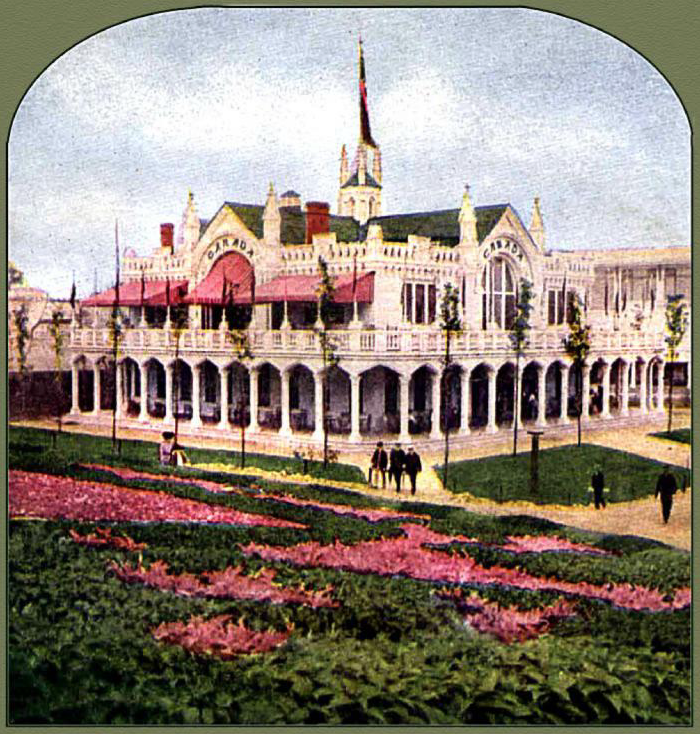 Nevertheless, see Louisiana Purchase Exposition, The Greatest of Expositions: Completely Illustrated (St. Louis, MO: Louisiana Purchase Exposition, 1904); Heritage Ottawa Newsletter (Ottawa: Heritage Ottawa, Fall 2007); “L. Fennings Taylor Dies,” Ottawa Journal, December 1, 1947, p. 31. 25. ↥ Although I have not gone as deep into this as I’d have liked to, the blocks at this southern end of Centretown are quite shallow. Part of this has to do with how the Sparks survey was set out in the early 1870s (i.e. 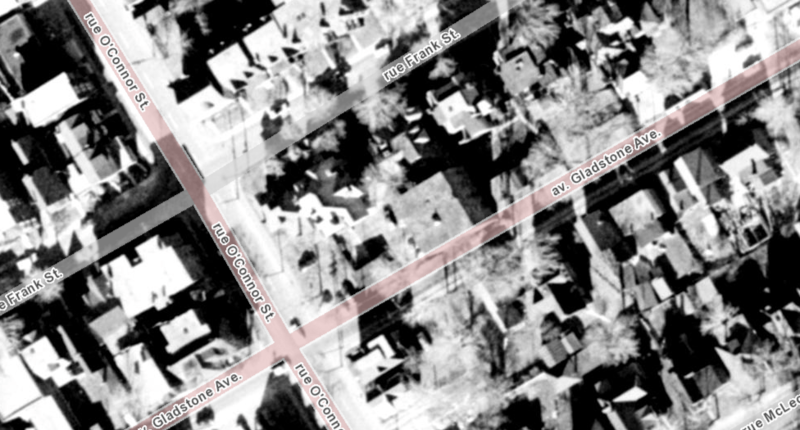 the short block that exists between Gilmour and Lewis) and part of it has to do with this particular area being at the southern border of the old City of Ottawa (Ann/Gladstone Ave.), abutting the former town of Stewarton. This may have been done to accommodate the Macdougall Property, which straddled either side of Elgin between Lewis and Gladstone. What’s more, is that Stewarton may have been annexed in 1889, but the streets had already been laid out, and much of it in accommodation of Appin Place (today’s Museum of Nature). For a short rundown of the history of Stewarton, see Harry Walker and Olive Walker, Carleton Saga(Ottawa: The Runge Press, 1975): 98, 114-5; Lucien Breault, Ottawa: Old & New (Ottawa: Ottawa Historical Information Institute, 1946): 27-30. Below is an excerpt from an 1876 imagined birds-eye of Ottawa. 27. ↥ Secretary, Belgrave Terrace Ltd., to the Office of the Secretary of State, Canada, August 8, 1958. LAC RG 95-1 Vol. 2357 File 302-1. 29. ↥ On April 4, for example, council resolved to pay Rebecca Sanderson, the widow of George F. Sanderson, $750 for the rear part of the lot on the corner. The heading in the Minutes incorrectly identify the property as 322 Frank, while the text accurately identifies it as 332 Frank. See Minutes of the Council of the Corporation of the City of Ottawa 1960, p. 461. 30. ↥ As I haven’t visited the Ottawa Land Registry and it wasn’t reported, I don’t have the specific date for when/how the property changed hands between Belgrave and Franconna. See Minutes of the Council of the Corporation of the City of Ottawa 1961, p. 95. 31. ↥ Minutes of the Council of the Corporation of the City of Ottawa 1961, p. 351. 32. ↥ Minutes of the Council of the Corporation of the City of Ottawa 1961, pp. 1450-51. 33. ↥ Ottawa Journal, March 17, 1971, p.41.